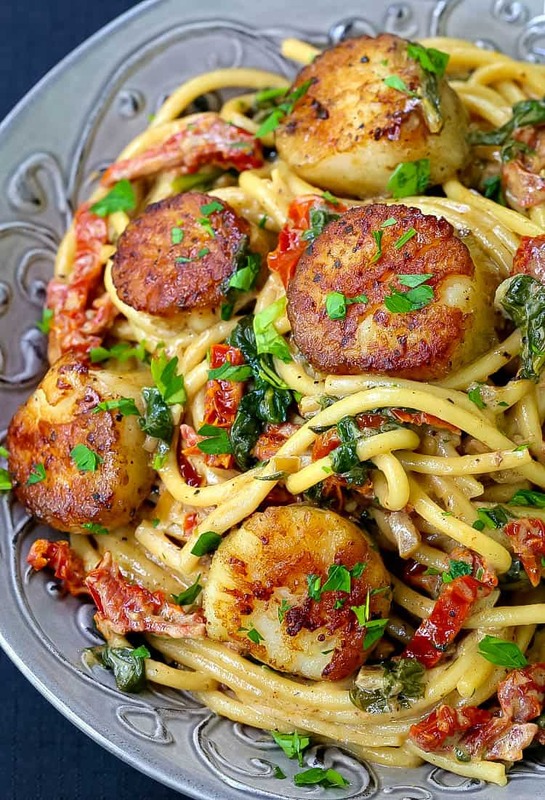 Skip the restaurant and make this Creamy Tuscan Spaghetti with Jumbo Scallops recipe for an easy seafood dinner at home! You won’t believe how easy it is! Scallops are one of those things that we don’t really buy too much at home. They can be a little more on the expensive side, especially if you buy the jumbo scallops like we did here but once again Trader Joe’s saved the day. 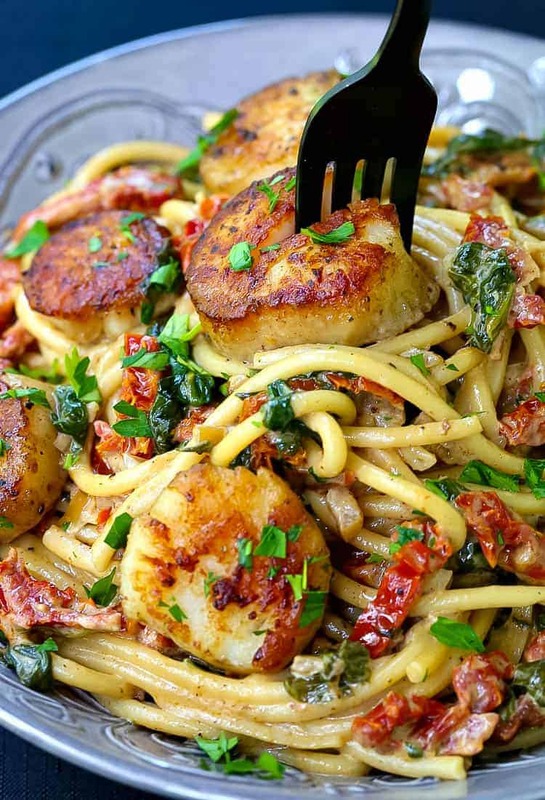 I managed to find a two pound bag there for just about 10 bucks and then ran around for some other ingredients to make this Creamy Tuscan Spaghetti with Jumbo Scallops. The idea for combining the spaghetti with white wine, cream, fresh spinach and sun dried tomatoes also came from just things I picked up while I was there. A few weeks ago we made this Sicilian Beef and Cauliflower recipe so I knew to stock up on the sun dried tomatoes while I was at TJ’s. This is also NOT a sponsored Trader Joe’s post guys. I just really, really like it there, especially the prices. Searing scallops the correct way is crucial to making any recipe with scallops. 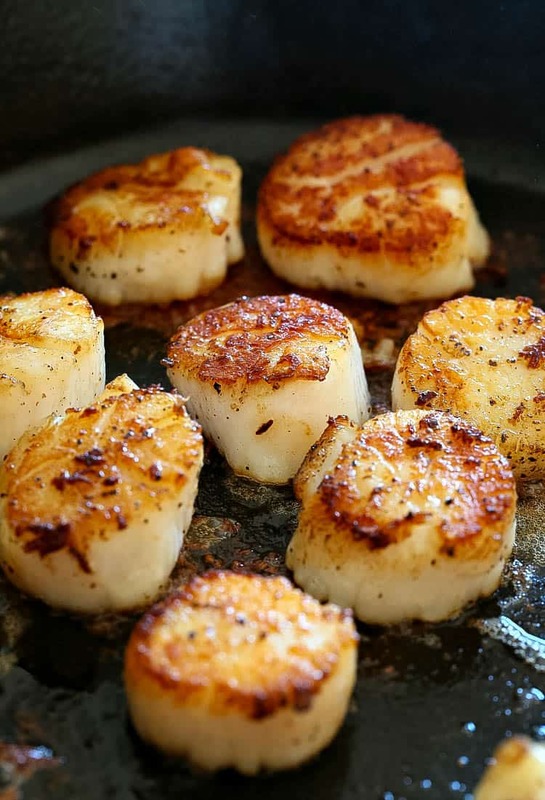 Mushy scallops are no bueno, over cooked scallops – toss ’em. What you need to do is dry the scallops off really well with a few paper towels so the surface of the scallops are dry. 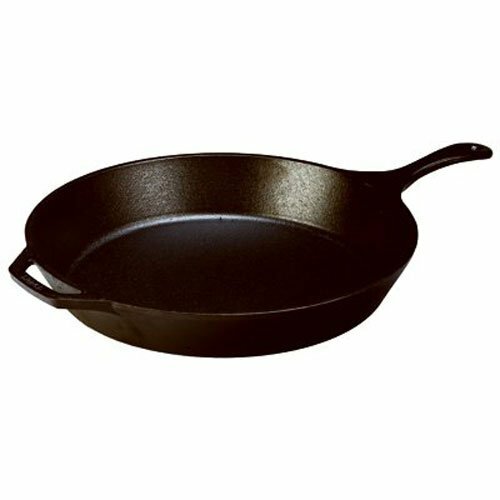 Now you need to get your skillet fairly hot, a cast iron skillet works great here. Drizzle oil in the pan so the scallops don’t stick and place them in. Don’t move them around once you get them in the skillet. Leave them for a few minutes until a nice crust forms and they’re ready to turn. If the scallops are still sticking to the pan when you go to turn them they aren’t done. Leave them another minute or two, they’ll release when the crust is formed. Do make sure you’ve gotten enough oil in your pan to keep the scallops from sticking, they will also stick if there isn’t enough oil coating the bottom of the pan. 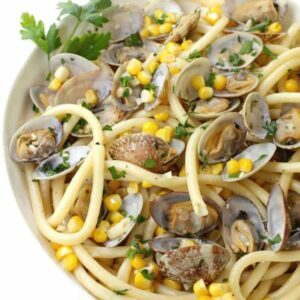 For this seafood and pasta recipe you have to cook the spaghetti separately. 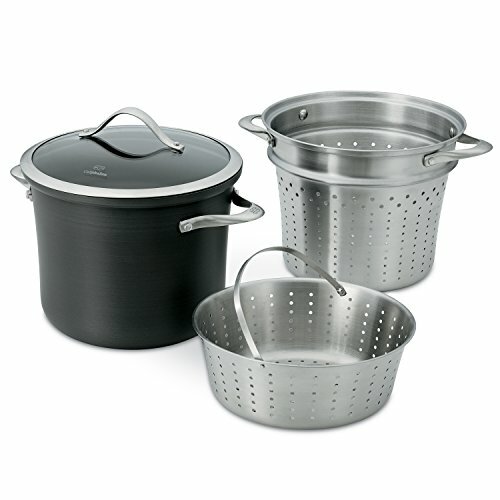 It’s not like one of those one skillet pasta dishes, this recipe needs to be done in the pot with water the regular way. Just one extra step to making this seafood dinner the most amazing meal you’ve made at home and didn’t have to go out and pay for. 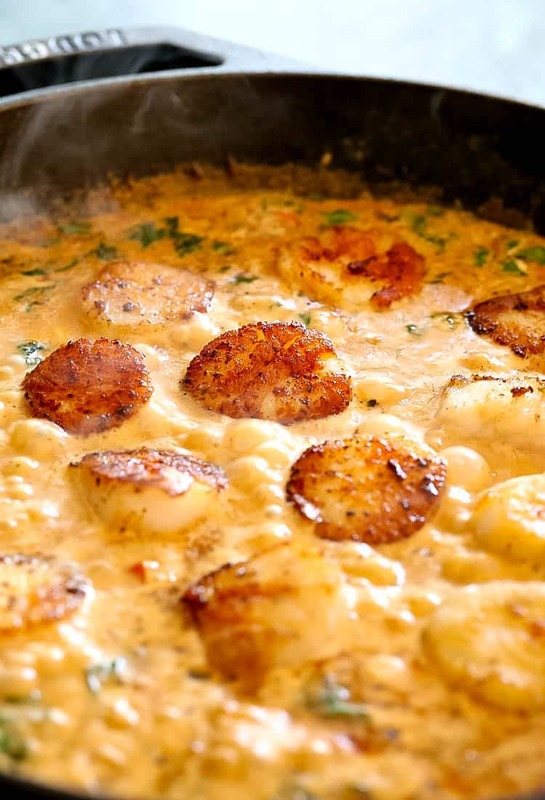 Pop open your favorite bottle of sparkling wine for this scallop dinner, or a nice bottle of crisp white will work too. Now start this creamy, delicious sauce. Because what I can also tell you is that this pasta to sauce ratio is the perfect well – ratio. It’s just the right amount of pasta to sauce in my opinion so no need to worry about how much to add. 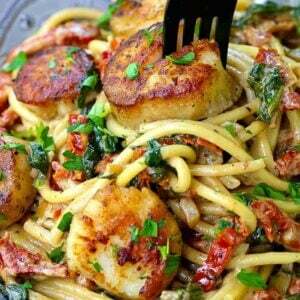 Pour the sauce and scallops all over the cooked pasta and toss carefully to combine. You don’t want to break any of those jumbo scallops up – that would be a horrible thing to do to these nice, beautiful scallops. If you’re afraid you might break up the scallops while tossing you can remove them from the sauce first, then toss and add the scallops back on top. 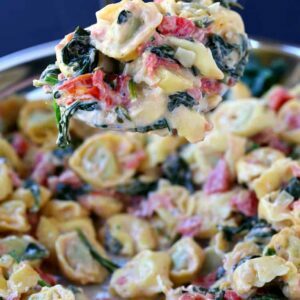 Butter, wine, cream, spinach and chicken broth all come together so perfectly in this sauce. 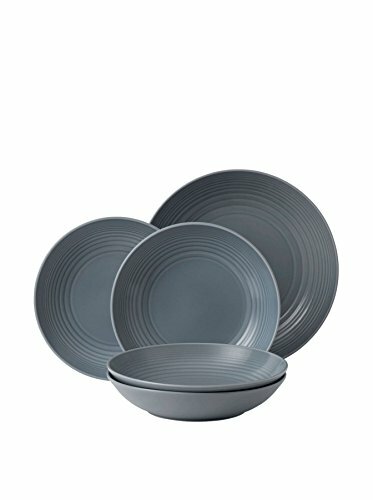 Definitely grab a big pieces of bread to soak it all up, you won’t want to leave any behind! And what’s a few more carbs at this point? Serve this Creamy Tuscan Spaghetti with Jumbo Scallops a with a nice glass of white wine and maybe s few pieces of bread on the side, but that’s really all you need. Everything else is already in this pasta recipe! You’ve got your spinach and tomatoes for a vegetable, your protein from the scallops and a big old serving of carbs. Also if you want to substitute shrimp for the scallops that would work awesome here. Not a seafood fan? Sear a few pieces of seasoned chicken or rotisserie chicken and toss that in. 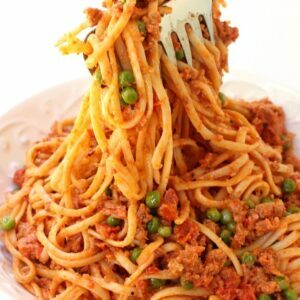 You’ve got options for the protein because the spaghetti and sauce is not to be missed! 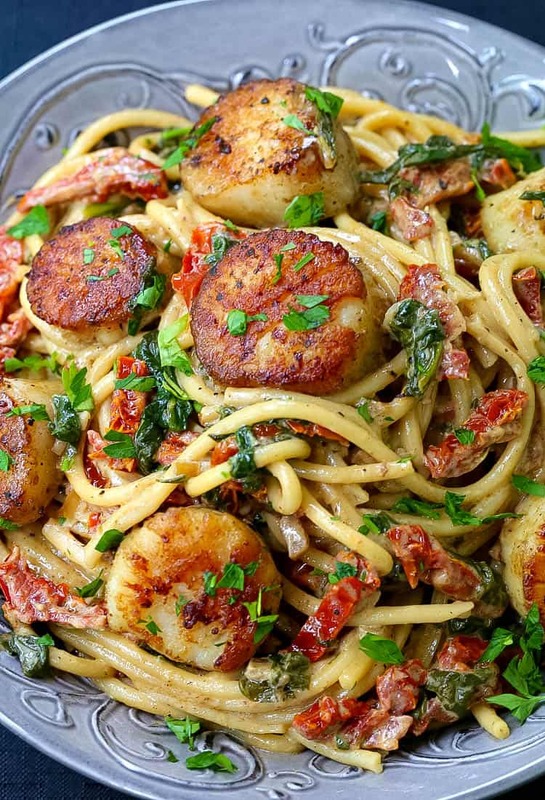 This Creamy Tuscan Spaghetti with Jumbo Scallops is a simple seafood recipe in the most delicious creamy sauce with sun dried tomatoes and spinach! Heat 2 tablespoons of the butter together with the oil in a cast iron or stainless steel skillet over medium high heat. Add the seasoned scallops to the pan and let them cook on one side for 3-4 minutes until they form a brown crust. If the scallops are sticking to the pan they aren’t ready to turn yet, just give them another minute or two. Turn the scallops over and let cook for another 3-4 minutes on the other side until browned. Remove the scallops to a plate and cover with foil. Melt the remaining 2 tablespoons of butter in the skillet and add the onions. Cook the onions for 5 minutes, stirring until softened. Add the garlic, stir and cook for a minute longer then pour in the wine to deglaze the pan. Let the wine cook down until reduced by half (about 2 minutes) then pour in the chicken broth and cream and bring to a simmer. Mix the cornstarch and water together and pour into the simmering sauce. Whisk and bring back to a simmer, cooking for 5-8 minutes until the sauce is reduced and thickened. Add the spinach and the sun dried tomatoes with a couple of tablespoons of the oil from the jar. Stir the spinach into the sauce to wilt. Season the sauce with more salt and pepper to taste. Place the scallops back into the sauce, cover and turn off the heat. Cook the spaghetti according to the package directions, drain and add to the pan with the sauce* (see note). If your skillet is on the smaller side, you can put the cooked spaghetti in a large bowl and then pour the sauce and scallops over the top and toss. Thanks for this pasta recipe, looks so yummy! I have just made the recipe but I have added prawns. I love seafood so a combination of scallops and prawns works perfectly for me. It tastes absolutely delicious. So glad to hear that Bianca! Thanks for letting me know!